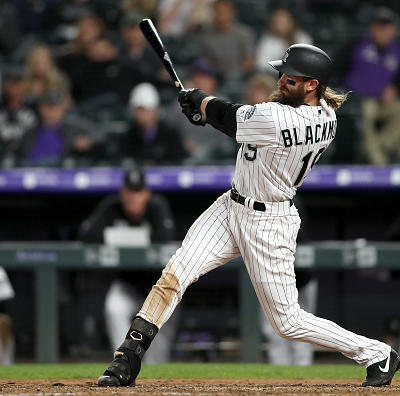 A complete look at who the 2019 MLB free agents are and where they are signing to play this season. 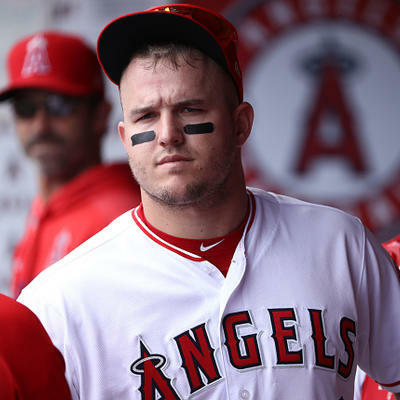 In order to stay on top of all the latest movement in baseball for the upcoming season, Fantasy Alarm's free agent player tracker will be updated as players sign in free agency to keep readers ahead of the competition. Be sure to bookmark this page with the Hot Stove already heating up. In order to streamline the list, players have been sorted by position. 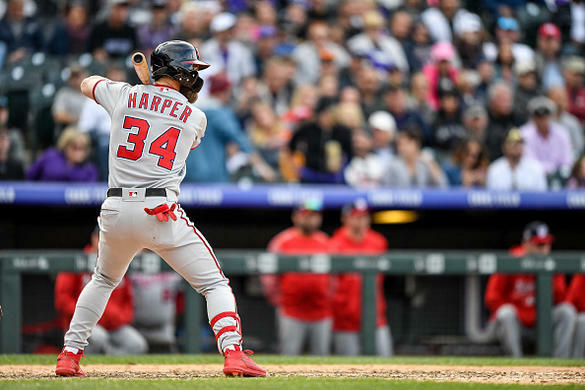 CF Bryce Harper (L) WSH PHI 159 Games, 550 at-bats, 103 Runs, 34 home runs, 100 RBI, 13 stolen bases, .249/.393/.496 Obviously, this gives a bump to most in the surrounding lineup, from the table-setters scoring more runs to players like Rhys Hoskins and J.T Realmuto seeing even more RBI opportunities. Even the bottom of the order will see more fastballs as pitchers will just throw to them and hope to elicit contact. GO PRO ! SS Manny Machado (R) BAL SD 162 Games, 632 at-bats, 84 Runs, 37 home runs, 107 RBI, 14 stolen bases, .297/.367/.538 This could expedite the arrival of the Padres flush farm system with the arrival of Manny Machado. He slots in at third base and should still produce in PetCo. GO PRO ! SP Patrick Corbin (L) ARI WSH 11-7, 197 IP, 246:48 K:BB, 3.15 ERA, 1.05 WHIP No immediate impact upon the Nationals other than seeing if Corbin slots in second or third behind Max Scherzer and Stephen Strasburg. GO PRO ! RP Craig Kimbrel (R) BOS Unsigned 5 - 1, 42 saves, 62.1 IP, 96:31 K:BB, 2.74 ERA, 3.13 FIP, 0.99 WHIP GO PRO ! SP Dallas Keuchel (L) HOU Unsigned 12 - 11, 204.2 IP, 153:58 K:BB, 3.74 ERA, 3.69 FIP, 1.31 WHIP GO PRO ! 3B Josh Donaldson (R) TOR ATL 52 Games, 30 runs, eight home runs, 23 RBI, two stolen bases, .246/.352/.449 With the signing of Donaldson, the Braves will transition Johan Camargo to a super utility role ala Marwin Gonzalez. If they do not sign an outfielder, Camargo could also get reps in right field. Donaldson, when healthy will be the primary third baseman for Atlanta. GO PRO ! SP Nathan Eovaldi (R) BOS BOS 6 - 7, 111 IP, 101:20 K:BB, 3.81 ERA, 3.60 FIP, 1.13 WHIP After being traded to Boston, Nathan Eovaldi will remain with the team after signing as a free agent. 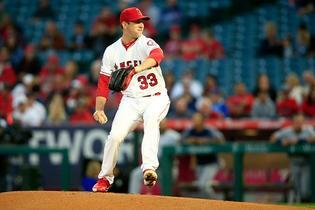 He should slot in as the third or fourth pitcher in the rotation and provides much needed depth. GO PRO ! DH Nelson Cruz (R) SEA MIN 144 Games, 519 at-bats, 70 Runs, 37 home runs, 97 RBI, one stolen base, .256/.342/.509 Minnesota adds another power hitter in Nelson Cruz. He's launched 119 over 456 games the last three years and this should push Tyler Austin on the trade block. GO PRO ! LF Michael Brantley (L) CLE HOU 143 Games, 570 at-bats, 89 Runs, 17 home runs, 76 RBI, 12 stolen bases, .309/.364/.468 Could the Astros signing Michael Brantley set off a chain of events as they improve the roster? Brantley's ability to play left field, first base and be the designated hitter fits Houston's preferences on player pliability and could result in top prospect Kyle Tucker being traded to address another need. GO PRO ! SP Charlie Morton (R) HOU TB 15 - 3, 167 IP, 193:51 K:BB, 3.13 ERA, 3.59 FIP, 1.16 WHIP Tampa Bay added to its rotational depth signing Charlie Morton. Morton, Blake Snell and Tyler Glasnow all own plus curveballs and Morton should slot as a the teams second starter. GO PRO ! CF A.J. Pollock (R) ARI LA 113 Games, 413 at-bats, 61 Runs, 21 home runs, 65 RBI, 13 stolen bases, .257/.316/.484 In an effort to improve their defense, along with the lineup versusleft-handed pitching, A.J. Pollock heads to the Dodgers. GO PRO ! LF Andrew McCutchen (R) NYY PHI 155 Games, 569 at-bats, 83 Runs, 20 home runs, 65 RBI, 14 stolen bases, .255/.368/.424 It's still too early to speculate on if the Phillies have moved on from Bryce Harper, but they did add to their outfield signing Andrew McCutchen to a three year deal. This applies pressure to Odubel Herrera who could lose time in the outfield going forward. GO PRO ! SP J.A. 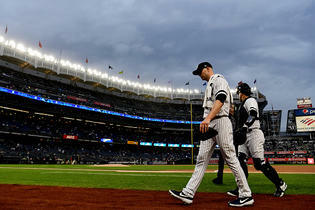 Happ (L) NYY NYY 17 - 6, 177.2 IP, 193:51 K:BB, 3.65 ERA, 3.98 FIP, 1.13 WHIP After missing out on the Corbin sweepstakes, the Yankees settled with J.A. Happ on a two-year deal pending an option for a third one. 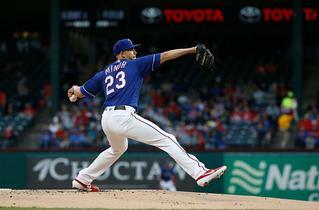 Happ will slot fourth in the rotation and should be treated by fantasy owners in the same fashion, as an SP four. GO PRO ! 2B Jed Lowrie (B) OAK NYM 157 Games, 596 at-bats, 78 Runs, 23 home runs, 99 RBI, .267/.353/.448 Adding to an already crowded infield, Jed Lowrie agreed to a two-year deal with the Mets. This clouds the future for Jeff McNeil getting at-bats, but ensures Lowrie will start in the infield. GO PRO ! 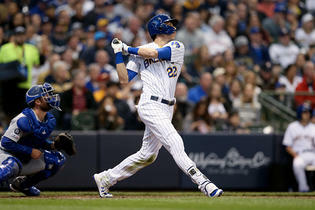 3B Mike Moustakas (L) MIL MIL 152 Games, 573 at-bats, 66 Runs, 28 home runs, 95 RBI, four stolen bases, .251/.315/.459 Not only will Mike Moustakas get a whole season of hitting in Miller Park, he could add second base to his fantasy resume. This could be very beneficial to his owners. It also takes the helium out of the Keston Hiura hype in redraft leagues. GO PRO ! SP Hyun-Jin Ryu (L) LA LA 7 - 3, 82.1 IP, 121:33 K:BB, 1.97 ERA, 3.00 FIP, 1.01 WHIP Staying with the Dodgers should ensure Ryu's regression towards his FIP compared to his ERA of 2018 should not be too damaging. At least the Dodgers understand how to keep pitchers fresh via disabled list usage. GO PRO ! 2B Daniel Murphy (L) CHI COL 91 Games, 328 at-bats, 40 Runs, 12 home runs, 42 RBI, three stolen bases, .299/.336/.454 A ripple in the fantasy world with Daniel Murphy heading to the Rockies to primarily play first base. 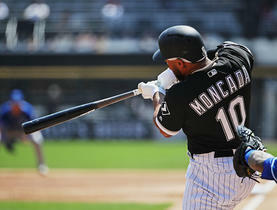 This affects Ian Desmond, Raimel Tapia, Garrett Hampson and Brendan Rodgers in the season ahead. GO PRO ! 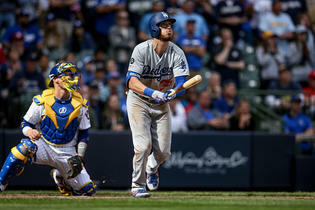 C Yasmani Grandal (B) LA MIL 140 Games, 440 at-bats, 65 Runs, 24 home runs, 68 RBI, two stolen bases, .241/.349/.466 With the catcher market at a stall, Yasmani Grandal agreed to a one-year deal with the Brewers. A perfect landing spot for Grandal with a slight park upgrade in terms of BABIP, especially when hitting left-handed. GO PRO ! LF Marwin Gonzalez (B) HOU MIN 145 Games, 489 at-bats, 61 Runs, 16 home runs, 68 RBI, two stolen bases, .247/.324/.409 Swiss army knife Marwin Gonzalez lands in Minnesota on a two-year deal. He provides new manager Rocco Baldelli flexibility across the diamond but could impact Willians Astudillo breaking camp with the team. GO PRO ! C Wilson Ramos (R) PHI NYM 111 Games, 382 at-bats, 39 Runs, 15 home runs, 70 RBI, .306/.358/.487 By agreeing to a two-year deal, this eliminates the Mets from the Realmuto sweepstakes and puts Travis d'Arnaud as the second catcher going forward. Mets are rumored to be shopping Kevin Plawecki to teams. GO PRO ! 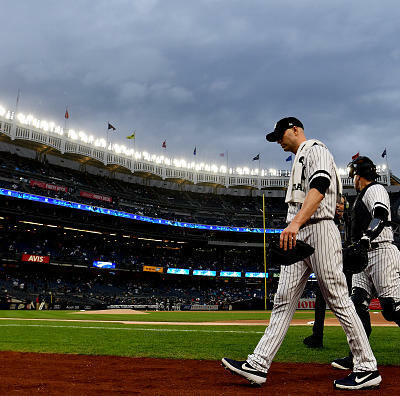 RP Zack Britton (L) NYY NYY 2 - 0, 7 Saves, 40.2 IP, 34:21 K:BB, 3.10 ERA, 4.22 FIP, 1.23 WHIP Viewed as one of the top relievers on the market, Zach Britton re-signed with New York and will be relegated to a setup role as a result. GO PRO ! RP Kelvin Herrera (R) WSH CWS 2 - 3, 17 Saves, 44.1 IP, 38:10 K:BB, 2.44 ERA, 3.95 FIP, 1.20 WHIP Kelvin Herrera accepted a two-year contract with an option for a third with the White Sox. 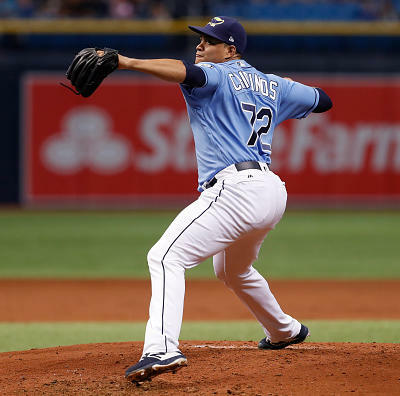 He will add depth to the bullpen along with Alex Colome and the two should compete for the ninth inning in the spring. GO PRO ! RP Adam Ottavino (R) COL NYY 6 - 4, 6 Saves, 77.2 IP, 112:36 K:BB, 2.43 ERA, 2.74 FIP, 0.99 WHIP New York continues to build the rotation from the back to the front. Adding Adam Ottavino strengthens the bridge in high leverage due to his wicked slider. GO PRO ! RP Jeurys Familia (R) OAK NYM 8 - 6, 18 Saves, 72 IP, 83:28 K:BB, 3.13 ERA, 2.63 FIP, 1.22 WHIP Familia returns to the Mets in a set-up role to Edwin Diaz. GO PRO ! RP David Robertson (R) NYY PHI 8 - 3, 5 Saves, 69.2 IP, 91:26 K:BB, 3.23 ERA, 2.97 FIP, 1.03 WHIP David Robertson will leave the Bronx for a chance to share in high leverage innings with the Phillies. Manager Gabe Kapler prefers playing match-ups in the late innings but Robertson will be in the mix for saves in the upcoming season. GO PRO ! 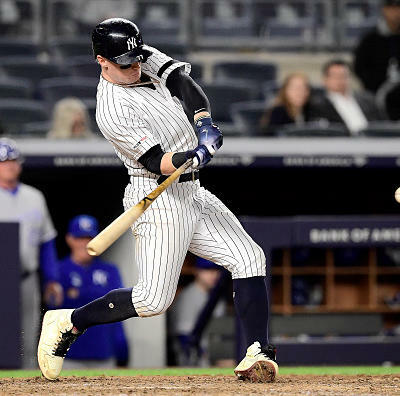 2B DJ LeMahieu (R) COL NYY 128 Games, 533 at-bats, 90 Runs, 15 home runs, 62 RBI, 6 Stolen bases, .276/.321/.428 On the surface, it seems like overkill with D.J. LeMahieu joining the Yankees. But, he will split time at third and second base while providing much needed defense and ability to make contact. GO PRO ! RP Joe Kelly (R) BOS LA 4 - 2, 2 Saves, 65.2 IP, 68:32 K:BB, 4.39 ERA, 3.57 FIP, 1.36 WHIP With the chips starting to fall into place in the reliever market, Joe Kelly will head West signing a three-year deal with the Dodgers. He should slot in as the handcuff to Kenley Jansen. GO PRO ! SP Gio González (L) MIL NYY 10 - 11, 171 IP, 148:80 K:BB, 4.21 ERA, 4.16 FIP, 1.44 WHIP Desperate times call for desperate measures. Gio Gonzalez agreed to a deal with the Yankees who suddenly crave rotation depth with C.C. Sabathia sidelined and Luis Severino opening the year on the injured reserve list. GO PRO ! RF Nick Markakis (L) ATL ATL 162 Games, 623 at-bats, 93 Runs, 14 home runs, 93 RBI, stolen base, .297/.366/.440 Deciding to forego waiting out the market, Nick Markakis will return to Atlanta on a very team friendly deal for 2019. This could impact how much Johan Camargo gets on the field barring an injury. GO PRO ! RF Adam Jones (R) BAL ARI 145 Games, 580 at-bats, 54 Runs, 15 home runs, 63 RBI, 7 stolen bases, .281/.313/.419 With Arizona's outfield defense needing a boost, they signed Adam Jones. While this helps Jones accrue at-bats, it shuffles the values on other Diamondback players. For instance, Ketel Marte goes to a utility based role, probably now getting most of his at-bats at second base. This takes away potential at-bats for Wilmer Flores and ends any hope of Christian Walker making the team. GO PRO ! RP Andrew Miller (L) CLE STL 2 - 4, 2 Saves, 34 IP, 45:16 K:BB, 4.24 ERA, 3.51 FIP, 1.38 WHIP St. Louis finally get a power left-handed reliever to bolster its bullpen. Miller's coming off of an injury riddled season but should slot in with Jordan Hicks to anchor the Cardinals bullpen. GO PRO ! RF Carlos González (L) COL CLE 132 Games, 463 at-bats, 71 Runs, 16 home runs, 64 RBI, 5 stolen bases, .276/.329/.467 As if the Cleveland outfield could get more muddled, the team added Carlos Gonzalez. His swing should play well in their park, but, how many at-bats he accrues will decide his worth. GO PRO ! SP CC Sabathia (L) NYY NYY 9 - 7, 153 IP, 140:51 K:BB, 3.65 ERA, 4.16 FIP, 1.31 WHIP Staying with the Yankees provides them with solid leadership in the pitching staff and a veteran innings eater. He likely slots in as the fourth or fifth starter in 2019. GO PRO ! SP Aníbal Sánchez (R) ATL WSH 7 - 6, 136.2 IP, 135:42 K:BB, 2.83 ERA, 3.62 FIP, 1.08 WHIP An under the radar signing with the Nationals overhauling its rotation and could slot Anibal Sanchez fourth or fifth in the rotation. With health, he represents an upgrade from Tanner Roark. GO PRO ! 2B Brian Dozier (R) LA WSH 151 Games, 553 at-bats, 81 Runs, 21 home runs, 72 RBI, 12 stolen bases, .215/.305/.391 Adding to an already deep lineup, Brian Dozier agreed to a one-year deal with the Nationals. He projects to be the starting second baseman. GO PRO ! C Kurt Suzuki (R) ATL WSH 105 Games, 347 at-bats, 45 runs, 12 home runs, 50 RBI, .272.332/.444 Going to Washington, Suzuki will find himself in a familiar role splitting time with Yan Gomes. Using his last two years in Atlanta as a guide, plan on him getting enough at-bats to help in fantasy but not enough to be a top-10 option. GO PRO ! C Robinson Chirinos (R) TEX HOU 113 Games, 360 at-bats, 48 runs, 18 home runs, 65 RBI, two stolen bases, .222/.338/.419 Signing a one year deal with the rival Astros could be just what Chirinos needed for fantasy. He should be the primary catcher in Houston which would ensure at-bats as more players at the position find themselves in timeshares. GO PRO ! 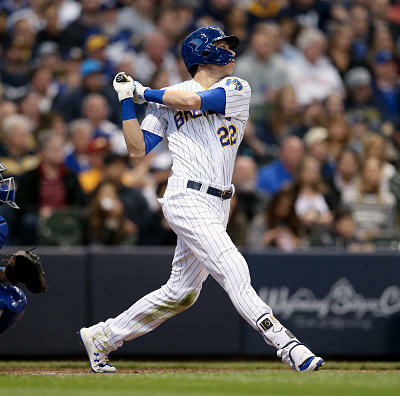 C Nick Hundley (R) SF OAK 96 Games, 282 at-bats, 34 Runs, 10 home runs, 31 RBI, 2 stolen bases, .241/.298/.408 A less than ideal landing spot for Nick Hundley, but a clearer path to playing time could occur in Oakland. GO PRO ! 1B Matt Adams (L) STL WSH 121 Games, 306 at-bats, 42 Runs, 21 home runs, 57 RBI, .239/.309/.477 It appears as though Matt Adams will reprise his role as the backup first baseman and fourth outfielder with the Nationals. GO PRO ! 1B Justin Bour (L) PHI LAA 141 Games, 423 at-bats, 49 Runs, 20 home runs, 59 RBI, 2 stolen bases, .227/.341/.404 A curious landing spot for Justin Bour heading to the Angels. 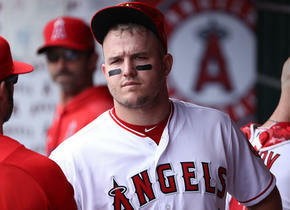 He should be a platoon match with Albert Pujols but his at-bats will be tough to predict. GO PRO ! SS Asdrúbal Cabrera (B) PHI TEX 147 Games, 546 at-bats, 68 Runs, 23 home runs, 75 RBI, .262/.316/.458 Texas agreed to a one-year contract with Asdrubal Cabrera to provide the team with a stopgap at third base. GO PRO ! 2B Ian Kinsler (R) BOS SD 128 Games, 487 at-bats, 66 Runs, 14 home runs, 48 RBI, 16 stolen bases, .240/.301/.380 Signed as a stopgap until the talent of the Padres system proves to be major league ready, Ian Kinsler could hit near the top of the lineup while splitting time at second and third base. GO PRO ! 2B Josh Harrison (R) PIT DET 97 Games, 344 at-bats, 41 Runs, 8 home runs, 37 RBI, 3 stolen bases, .250/.293/.363 One year removed from an injury riddled season, Josh Harrison will head to Detroit and start at second base. This likely shifts Niko Goodrum to the outfield. GO PRO ! 2B Jonathan Schoop (R) MIL MIN 131 Games, 473 at-bats, 61 runs, 21 home runs, 61 RBI, one stolen base, .233/.266/.416 After a disappointing season in 2018, Schoop will head to Minnesota hoping to bounce back in his age-27 season. With Brian Dozier departed, Schoop owns a clear path to playing time with the Twins. GO PRO ! 3B Eduardo Escobar (B) ARI ARI 151 Games, 566 at-bats, 75 runs, 23 home runs, 84 RBI, two stolen bases, .272/.334/.489 Escobar finds himself the primary third baseman after Arizona's trade of Paul Goldschmidt. Jake Lamb will transition to first base and potentially platoon with Christian Walker. GO PRO ! SS Tim Beckham (R) BAL SEA 96 Games, 369 at-bats, 45 Runs, 12 home runs, 35 RBI, stolen base, .230/.287/.374 Whether Tim Beckham becomes the bridge to J.P. Crawford at shortstop or not, he will be afforded at-bats in Seattle and a chance to rebound. GO PRO ! RF Avisaíl García (R) CWS TB 93 Games, 356 at-bats, 47 Runs, 19 home runs, 49 RBI, 3 stolen bases, .236/.281/.438 Given the Rays needed a power hitting right handed hitter, Avisail Garcia makes sense. 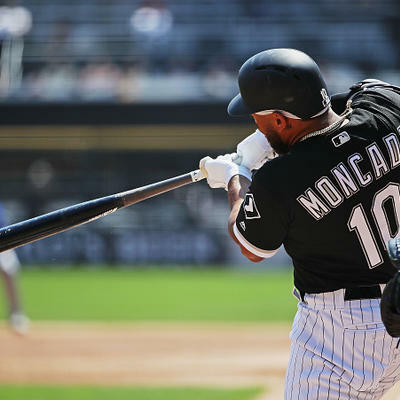 He will be able to provide depth in the outfield along with acting as the designated hitter. GO PRO ! 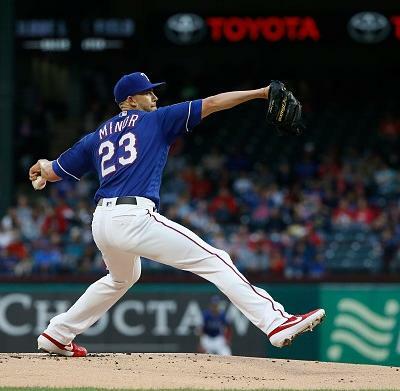 SP Lance Lynn (R) NYY TEX 10 - 10, 156.2 IP, 161:76 K:BB, 4.77 ERA, 3.84 FIP, 1.53 WHIP Signing with the Rangers will help Lance Lynn getting a three-year contract. 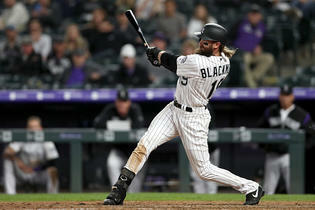 He should be a workhorse for them logging much needed innings and providing veteran leadership. GO PRO ! SP Trevor Cahill (R) OAK LAA 7 - 4, 110 IP, 100:41 K:BB, 3.76 ERA, 3.54 FIP, 1.19 WHIP While not committing long term, the Angels continue to add depth to its rotation signing Trevor Cahill. He will slot third or fourth in the rotation. GO PRO ! SP Derek Holland (L) SF SF 7 - 9, 177.1 IP, 169:67 K:BB, 3.57 ERA, 3.87 FIP, 1.29 WHIP After finding success by the bay, Derek Holland opted to re-sign with the Giants rather than leave via free agency. 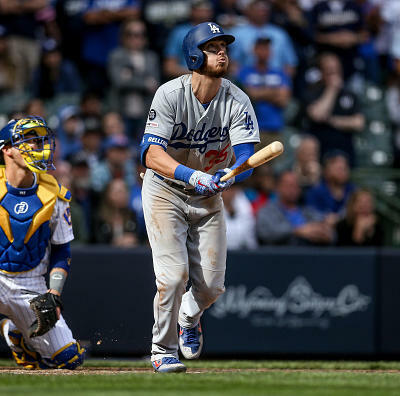 He will shore up the rotation which creates a battle for the last spot between Andrew Suarez, Dereck Rodriguez and Chris Stratton for the last two spots. GO PRO ! SP Mike Fiers (R) OAK OAK 12 - 8, 172 IP, 139:37 K:BB, 3.56 ERA, 4.75 FIP, 1.18 WHIP Oakland has a starting pitcher. In what should be one of many moves, the A's signed Mike Fiers back as a bridge to upcoming talent in the minors. GO PRO ! RP Joakim Soria (R) MIL OAK 3 - 4, 16 Saves, 60.2 IP, 75:16 K:BB, 3.12 ERA, 2.44 FIP, 1.14 WHIP Signing with the A's will reduce Soria's fantasy appeal. He will work in a setup role to Blake Treinen in Oakland. GO PRO ! RP Sergio Romo (R) TB MIA 3 - 4, 25 Saves, 67.1 IP, 75:20 K:BB, 4.14 ERA, 4.04 FIP, 1.26 WHIP No longer an opener, Sergio Romo adds to the muddled bullpen in Miami. GO PRO ! RP Cody Allen (R) CLE LAA 4 - 6, 27 Saves, 67 IP, 80:33 K:BB, 4.70 ERA, 4.56 FIP, 1.36 WHIP With the Angels needing a veteran closer, Cody Allen will fill an obvious void. GO PRO ! RP Blake Parker (R) LAA MIN 2 - 1, 14 Saves, 66.1 IP, 70:19 K:BB, 3.26 ERA, 4.40 FIP, 1.24 WHIP Minnesota added more veteran depth to its bullpen with the Blake Parker signing. He should represent a veteran with high leverage experience capable of closing games but not signed to be one. GO PRO ! RP Brad Boxberger (R) ARI KC 3 - 7, 32 Saves, 53.1 IP, 71;32 K:BB, 4.39 ERA, 4.55 FIP, 1.43 WHIP Keeping with the fluid bullpen scene, the Royals signed Brad Boxberger to compete or share the ninth inning with Wily Peralta. GO PRO ! RP Hunter Strickland (R) SF SEA 3 - 5, 14 Saves, 45.1 IP, 37:21 K:BB, 3.97 ERA, 4.42 FIP, 1.41 WHIP Trying to rebuild a depleted bullpen, Seattle signed Hunter Strickland to a one-year deal. GO PRO ! CF Billy Hamilton (B) CIN KC 153 Games, 504 at-bats, 74 Runs, 4 home runs, 29 RBI, 34 stolen bases, .236/.299/.327 Not particularly sure why the Royals continue to pursue speedy players who lack on-base skills, but add Billy Hamilton to the roster.Kansas City proved to be an aggressive franchise on the bases, so those targeting steals, Hamilton's back on the radar. GO PRO ! 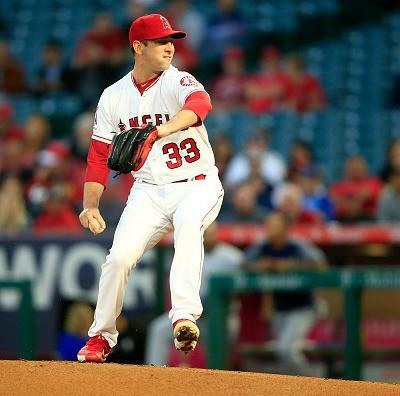 SP Matt Harvey (R) CIN LAA 7 - 9, 155 IP, 131:37 K:BB, 4.94 ERA, 4.57 FIP, 1.30 WHIP Moving back to the west coast, Matt Harvey accepted a one-year deal with the Angels. He will slot in as their second starter. 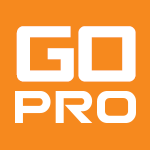 GO PRO !